There have been multiple outlets that are cropping up in the concrete jungle consisting of fresh juicy and baked products that enchant the entire vicinity. Among the various outlets, one that has created a massive buzz within the industry is the brand named Belgian Waffle. In a candid conversation with the Waffle Restaurant brand owner, Mr Shrey Aggarwal, we gained enormous knowledge about the new upsurge that has kept people hooked to the mantra of ‘just keep waffling around’! This article will give you insights on how to open a Waffle business of your own. Shrey shared his rollercoaster journey with us about how a person coming from an engineering background, became interested in being a part of the F&B industry. He with a quite satisfactory voice mentioned that he was working in Manila abroad and there he came very close to unveiling the various interesting food concepts which were available. Waffle as a concept attracted him. Knowing that India didn’t have a good dessert alternative besides ice cream, which had been around for quite some time now, he thought of introducing waffle in the country. And with this thought, Belgian Waffle brings to the table something that is fresh and crispy. People can even customize their waffles. Melted chocolate and the aroma of fresh baking never really fails to attract people. Shrey went on to say that in the case of F&B industry, you obviously have to have a passion for it, because, it touches peoples experiences and lives and you can only leave a mark on the people if you have a proper understanding of the demand and the food itself. Entrepreneurship is something that had always attracted him because creating equities for yourself is very important for him rather than working in a job. On mentioning that Belgian Waffle has created a benchmark in the industry, he with a tinge of laughter and joy in his voice said that he is glad that they are living up to the name. According to him focusing on the customer experience; creating a holistic picture are just a few of the many things that you must focus on. There are a lot of angles such as price, the look of your shop, employee service that makes your business and brand a living example. However, one of the greatest challenges that Shrey thinks every restaurant owner encounters is getting your Accounts Team in place. Getting the right personnel is where he works on the most. In spite of the huge population that India has, there are a very few people on whom you can really rely on with their skills and experience. Hunting those who can help you is a very big challenge. During the conversation Shrey shared his plans for further expansion, he mentioned that currently, Belgian Waffle is running in Pune, Ahmadabad, Surat. Belgian Waffle is also opening outlets in Jaipur and Kolkata and is aiming for a sprawling empire of 200 waffle restaurant outlets. 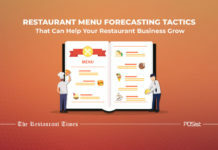 Deciding the location and format of any restaurant based on the Target Audience is extremely important for the success of any business, and a Waffle Restaurant is not different. Waffles get all kinds of customers. Belgian Waffle as a brand receive a lot of feedback from grandmothers and children, and that covers the spectrum, but mostly females aged between 16- 35 years are the primary customers. Belgian Waffle outlets are present in various formats, starting from an outlet in a mall, a food truck or the various independent or stand-alone outlets. When asked as to which kind of format brings in more profit, Shrey stated that they all have their own advantages. Kiosks are way more flexible since they can be moved. Food trucks also, they don’t attract rent, they are also highly movable, but they do have a few issues such as equity. The most stable are Standalone Outlets, which is the most followed format by Belgian Waffle. Shrey stated that one of the most important points to focus is the location. There are a lot of things that go into location research; it is difficult to point at any one thing. You should know where the markets are, you must see whether other brands are doing successfully in the desired location. You must bring into force a research team who would extensively carry on a survey of the kind of crowd density reside there and whether it matches with your targeted audience, their income, the roads in the surrounding area. You must also know what kind of customers are you planning to target, whether it is a corporate, school or residential crowd. Maintaining the consistency and freshness of the products across the various franchised outlets is a major challenge. Shrey stated that while planning the secret sauce they make sure that the operational simplicity is there. The products are manufactured, assembled in a very standardized form so that they have the right documentation in place, so things are as simple and automated as possible. People have a much higher spending power, are well travelled, and aware and exposed to the various varieties of products; and this is the factor behind the sudden upsurge of the waffle restaurant chains and standalone outlets. Moreover, since the initial investment or the expense is small in terms of your footprint, which is true for most QSR, starting a waffle outlet becomes a much easier option. No one really did it right before, I am not aware what the other guys are doing but I think that a lot of them are trying to follow what Belgian Waffle is doing in terms of providing affordable desserts with the Quick Service option. Shrey also went on to share the greatest operational challenge that a waffle restaurant faces. For example, India does not manufacture waffle machines; hence you will have to contact a distributor. When it comes to the machine, the coating on the machines they wear off so you will have to constantly replace them and recoat them and these are not easy things to do, they are not available in the market you will have to order and get them made specially. Find out more about the Waffle trend in India here. In the restaurant industry, you work 14 hours a day, 7 days a week, 365 days a year you will have to be on it, and for you to be on it you will have to be deeply passionate about it. It is an industry when you will face challenges, but you will have to have the passion and determination to overcome it. We signed off with the hope of witnessing Shrey’s already sprawling empire to expand leaps and bounds so that Belgian Waffle keeps us hooked to the taste of warm yet crispy waffles. Previous articleHow a Restaurant Management System Lets You Run Your Restaurant From Anywhere! The Belgian Waffle story is very inspiring to read. Shrey has built an entire empire and has started a new waffle trend in India. This article is very inspiring for budding restauranteurs. This one is the most inspiring journey. Shrey leads the waffle space. Also, it has a lot of insights that are very helpful. Great work. Belgian Waffle is an evolution that is great to look at since so many improvisations have been made to the way it is prepared and eaten. Shrey leads the waffle industry, setting a waffle trend in India.